These cowboy cookies are dense, thick, and full of yummy ingredients! 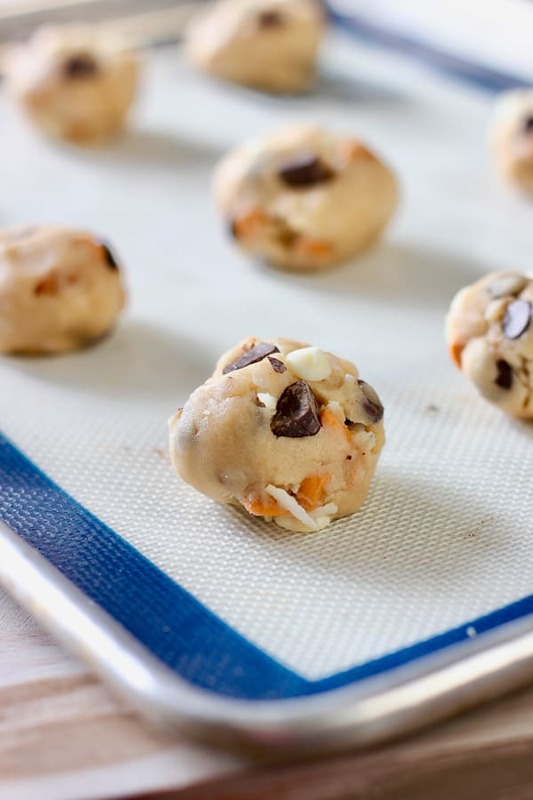 We love how creative you can be with the ingredients- but the best part about these is how easy they are to make. 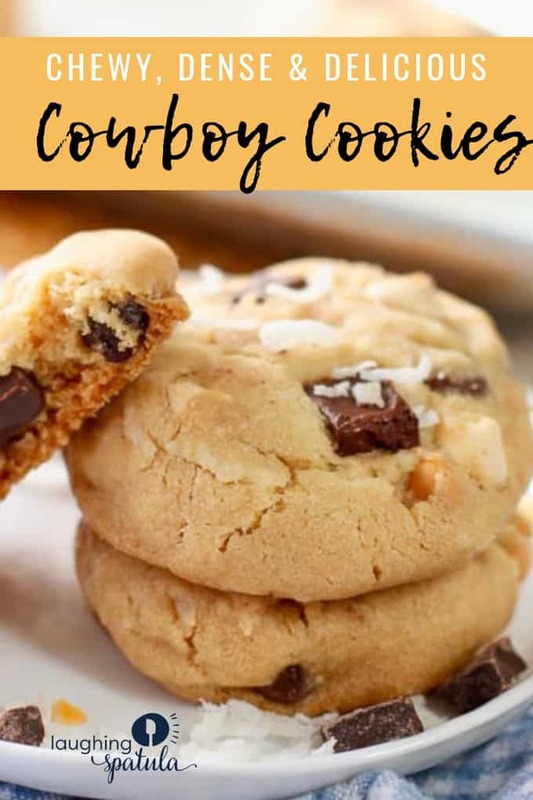 These cowboy cookies will be a favorite for the entire family! Delicious, and full of three types of chocolate chips, coconut and walnuts. I love these cowboy cookies too much to even tell you. Any cookie that I can throw together, and they come out thick and delicious is a-okay in my book. I ate about 15 of them in a 48 hour period and I’m not even embarrassed. Did I probably gain 4 lbs doing so? Yep. But screw it- flowy dresses are in and my food baby is hidden. I’m probably going to go eat another 3-4 cookies during the time I write this post. Look at all that yum! 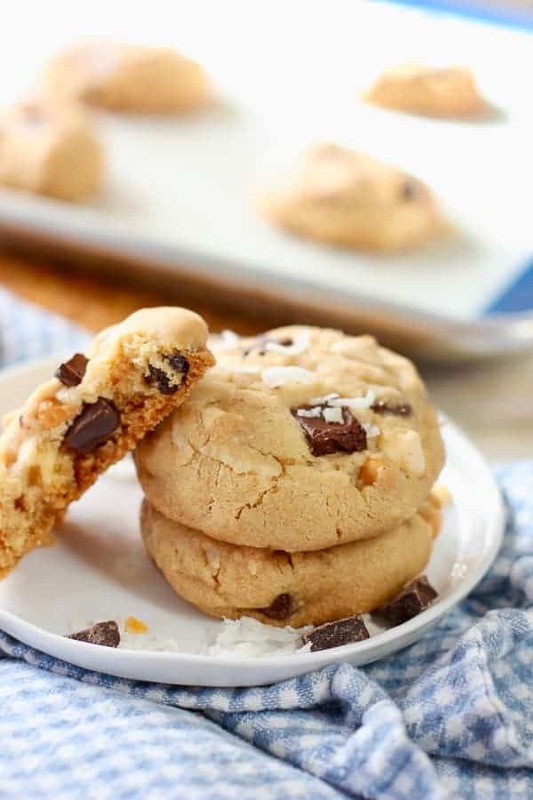 Cowboy cookies are thick and chewy cookies, loaded with loads of treats. The term ‘cowboy’ in food refers to adding a mixture of many ingredients. The treats are interchangeable, and you can add anything, and everything you like. They come together quickly, and have a dense texture PERFECT for dunking in a glass of milk! Why do we love cowboy cookies? Well- there’s many reasons. Mostly because I love cookies that are dense and chewy. 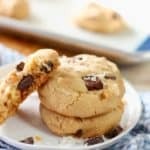 These cookies are easy to make, and they come together with ingredients you probably already have in your house. I also love being able to make them with so many different ingredients. They are PERFECT seasonal cookies! What kind of ingredients can I use in these cowboy cookies? Corn flakes; TRUST me with this one- they get all carmely and delicious! Chopped up candy bars; SKOR bars would be delicious! Other types of nuts; pistachios, almonds, hazelnuts, etc. Can I freeze these cowboy cookies? The cookies themselves don’t freeze well, but the dough freezes wonderfully! Roll it in plastic wrap tightly, and store in the refrigerator for up to 6 months. Got any other ideas for these cowboy cookies? Make them in a skillet for a big cookie skillet! Top with vanilla ice cream and serve family style. Use these cookies in ice cream sandwiches! Place dough in a cupcake liner and bake in a cupcake pan; top with ice cream for delicious little treats, perfect for kid sized portions! Delicious fresh right out of the oven! If you have a sweet tooth that just won’t quit-check out this bananas foster upside down cake-it’s gooey, delicious, and impressive. Want something a bit lighter? Enjoy these Blueberry Lemon Scones, or this light and fluffy Chocolate Mousse Cake! Go enjoy yourself some cowboy cookies-I want to hear how you made them and what you put in them. Comment below and let me know! (Yes- that rhymed, and I’m proud of myself for it!). Add any fixing you like, these cowboy cookies are foolproof and so easy! In medium sized mixing bowl using hand mixer or stand mixer, cream together white sugar, brown sugar, and butter. Add oil & egg, continuing to mix until fully combined. Add baking powder, baking soda, and salt. Mix well. Add flour 1/2 cup at a time until fully mixed. 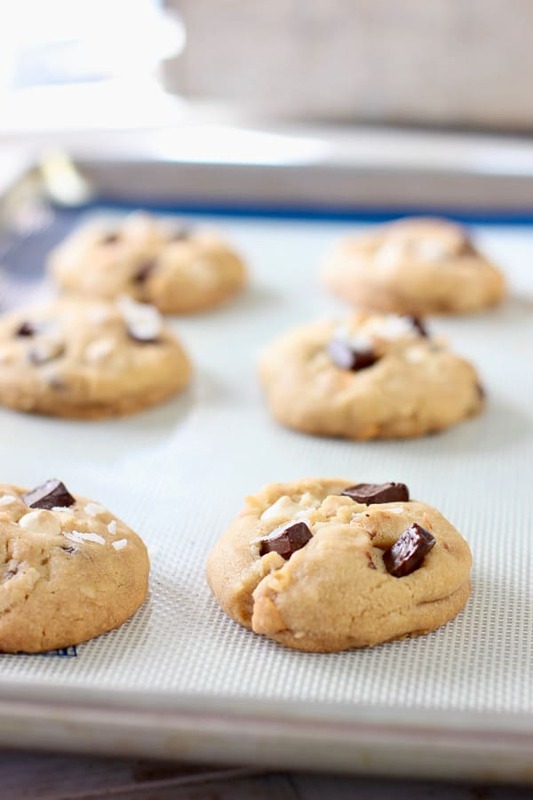 Fold in 3 types of chocolate chips, coconut, and walnuts. Mix lightly, just until combined. Spoon 1.5 teaspoonful amounts of dough onto greased baking sheet 2 inches apart. Bake for 10-12 minutes or until lightly golden brown and cooked through. Enjoy! Hi Donna! We updated to reflect a per cookie nutrition information. 24 cookies in a batch. Thanks for the note!